Radium Golf Group Meetings, Events, Catering, offering both the Springs and Radium Course Clubhouses, and private rooms for your next function. 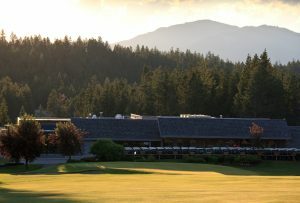 The Radium Golf Group offers Meetings, Events & Catering! Clubhouses and private rooms available for your meetings and events, team-building, conferences, golf groups, weddings, family reunions and Christmas parties. Our experienced hospitality team is here to help you create an unforgettable experience, whatever the occasion. Your wedding is a special day and we want to make is even more special for you. Hosting available from intimate gatherings of 20 guests up to a full-scale celebration of 130 of those nearest and dearest. We are here for you. Our highly-trained staff have the expertise and we have the facilities to make your day unforgettable. Leave the details to our efficient hospitality group while you enjoy every minute of your big day.